Welcome to Budapest Jet Charter, your dedicated partner for private flights and helicopter lifts in and out of Budapest, Hungary. Renting a private jet to Budapest Ferenc Liszt International (LHBP, BUD) is the most luxurious, stylish way to get there, and we’re here to offer you with the highest standards in executive and leisure travel. Air Charter Advisors offers on-demand private air charter service to/from Budapest, and with access to thousands of private aircraft around the world, we’re confident we can arrange the right aircraft for your trip, whether flying internationally or domestically. ACA has access to thousands of aircraft on every continent, working only with aircraft operated under FAR Part 135 (or foreign equivalent) standards, and pilots with experience in the specific type of aircraft they’re piloting. Our ever-expanding list of distinguished jet charter clients has ranged from royalty, heads of states and top-tier executives, to celebrities, leisure travelers, and executive assistants from every corner of the globe. Enjoy the peace of mind you get from working with a charter broker you can trust, and we’ll be your local and global aviation solution for luxury air travel, aircraft acquisition and private jet management. Stop worrying about logistics issues and ground transportation, and leave all of the details to us. We’re available 24 hours a day and we offer unlimited free quotes, so feel free to request a quote or give us a call at 1-888-987-5387 to book your luxury private flight to Budapest, Hungary – consider Air Charter Advisors your one-stop shop for all things private aviation in Budapest. 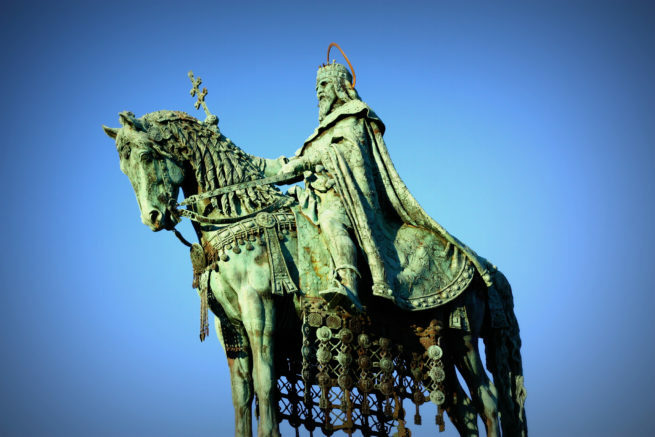 Our clients consistently note the most interesting aspect of Budapest is, despite existing since the 1300’s, most of the city is relatively new – most structures have sort of sprung up since the later 1800’s. Before that, it existed under an entirely different moniker. The city didn’t even exist really; it was actually just two towns, Buda and Pest. Buda existed as the stronghold of the city’s elites. This can be seen in the imposing structures and squares found throughout Castle Hill and the Castle District. Pest, on the other hand, is the stomping ground the bourgeoisie. Most of the population stays there, on the Eastern side of the Danube river which bisects the two entities. Though other names were entertained, the merging of Buda and Pest earned the name “Budapest” in 1873. This is important information for after a private flight because, since then, the two towns have maintained their own identities, and they offer very different experiences. Buda acts as the sightseeing hub of the town; it’s the type of district that makes it impossible to take a bad photo. Castles, hills, beautiful architecture, and well-preserved antique buildings: that’s what Buda represents for the people who visit there. The locals also go here for hiking, picnicking, and enjoying the rolling hills, and everyone sits in the small cafes relaxing and enjoying the scenery. However, all of that gets rolled up and put away at around 22:00 on week nights. The pretty buildings and hills will still be there, of course, but the shops, cafes, and bars aren’t likely to stay open. That’s where Pest comes in. If you’re renting a private jet for the trip there, you’ll likely want to end up in the center of it all. This is the population center of the town, and many locals would argue Pest is the “authentic” part of the city. The best place to start exploring Pest is from the center, which happens to be the most interesting part of the town anyways. Also known as the V District, central Pest is comprised of Belváros and Lipótváros. These two neighborhoods host the most concentrated part of the city’s nightlife. You’ll find the most drinking establishments here – especially romkocsma (ruin pubs). The nightlife in Pest is famous for its eclectic romkocsma. These remnants of the city’s strife-ridden past now serve as examples of the modern day prosperity the city enjoys. They’re bars set inside of old houses, previously abandoned structures, and antique buildings. You won’t see any neon signs or people outside beckoning for more business. To find them, you’ll have to do a bit of footwork, some question asking, and quite a bit of miming (unless you speak Hungarian). Once you find one, you’ll likely be the talk of the bar. Budapest isn’t the major tourist attraction that other European capitals are, so locals aren’t as accustomed to seeing foreigners coming to their town for leisure. This trend is even more prevalent in the outskirt areas of Budapest. Sit down at the bar and strike up a conversation if you can; it’s highly likely you’ll be well-received. You’ll also find the beer and spirits selections are really good – not just in the romkocsma either. Pubs, wine bars, rooftop clubs, and clubs in underground caves are all over the city. Along with the shot bars on every other street corner, it’s easy to sample a bit of everything that the city’s drinking culture has to offer. It’s also a perfect town for a pub crawl. You can pretty much walk anywhere you need to go within a half hour. Two absolute must tries are Palinka (fruit brandy) and Unicum. Palinka is the official drink of Hungary, and many places make it their specialty. Unicum is a locally oak-cask-brewed herbal liqueur with more than forty herbs incorporated in most recipes. Many of the local wines are quite special as well, limited to Hungary, and seldom found elsewhere. There’s plenty of craft beer, too, so you’ll have no trouble finding a place to have a good drink – regardless of your preferences. 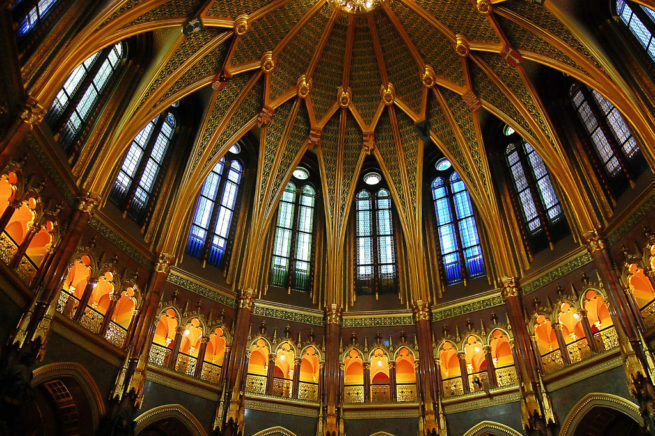 Politics, government, business and finance: Hungary concentrates all of it in one place – Budapest. This city is the number one landmark of the country, home to over 2 million permanent residents (over a fifth of Hungary’s population) while welcoming nearly 3 million visitors every year. These numbers contrast so starkly with the rest of the country, that locals often refer to the entirety of Hungary outside of the city’s borders as “the countryside”. Business goes where the people are, and Budapest is no exception to the rule. Almost all of the country’s national institutions are found here. Whether its finance, business, or government, most of the most important entities will be headquartered here. The Budapest Stock Exchange, the entire national government including Parliament, the National Assembly, and the high court, and over 400 companies are located in and around the city center. This is the reason that Budapest accounts for nearly 40% of Hungary’s total national income, as well as the reason why private business flights to Hungary come in through its capital. If you need to fly private to Budapest for a company meeting or conference, it’s vital that you get there efficiently and comfortably. It’s also vital that you get there with your head firmly planted on your shoulders, not worrying about logistics and flight delays, crying babies, and absurd customs procedures. That’s why, in a business context, flying private in a chartered jet makes more sense that flying commercial. Let us book your luxury private flight to Budapest, and enjoy the comfort that comes from working with the most attentive and transparent jet charter broker in the private aviation industry. You’ll never go hungry in Hungary, especially if you’re in Budapest. The food here isn’t always healthy, but it’s darn good. Plus, you’ll be able to eat plenty of healthy food with your catering on the private flight. There’s definitely a bit of a culinary renaissance going on at the moment, and its effects can be seen in just about every eatery in the city. Whereas foods like sausages and eggs were just about the end all be all in previous years, the local chefs are really starting to branch out. Goulash and Chicken Paprikash, Hurka and Kolbász, cold sour cherry soup, sticky apricot jam, and the untranslatable stew – Főzelék: the traditional dishes are still going strong. Now, the city boasts a wealth of international cuisines ranging from sushi to middle eastern cuisine, and just about everything in between. Whatever you find yourself craving while in Budapest, you’ll likely be able to find it in reasonably good quality. However, the quality will always be better when eating the local cuisine; they’re sort of specialists in it. Due to Budapest’s dualistic nature, its various districts offer travelers much different atmospheres than in other European countries. Decisions need to be made. Buda or Pest? District I or District VII? If you’re not sure which one will be best for your needs, then let us help you out. We can’t decide for you, but we can certainly point you in the right direction. Also, in the end, Budapest is wonderfully compact. So even if you decide to stay in the food district, you’ll only be about a thirty-minute walk from everything else. The public transportation is awesome too, so you really won’t have any trouble getting anywhere. Local hotels are iconic for their decadent displays of 18th century luxury. However, nowadays there are some decidedly contemporary trends making their way in the city’s lodging options. Sleek interiors, modern amenities like full spas, high-speed Wi-Fi, and big screen televisions are the norm now. Yet the exteriors still boast the iconic and inspiring architecture that is so prevalent in Western Europe. 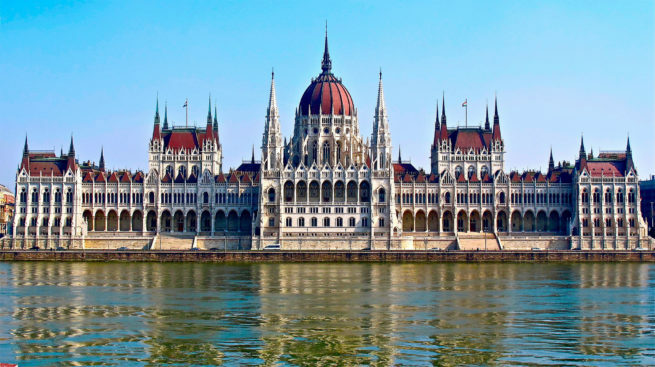 The hotels are reminiscent of Viennese architecture, but the rates are significantly more cost effective – mostly due to the fact the Hungary still opts to work in its local currency, rather than the Euro. If you’re already planning a private flight to the area but haven’t picked a hotel yet, keep on reading. 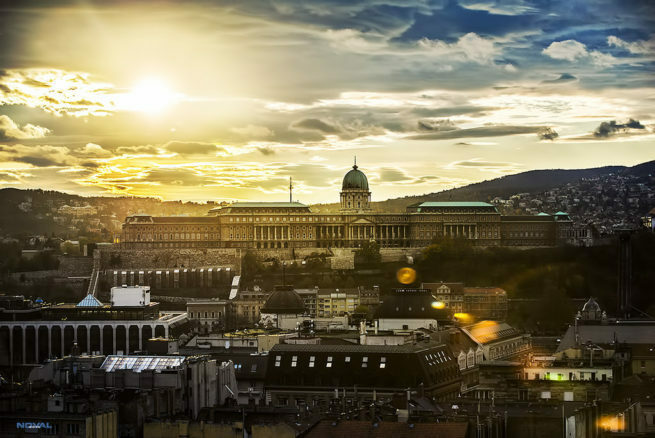 Our local jet charter representatives have compiled a list of the best places to stay in Budapest. They based the list on customer feedback, so it’s a great place to start your search. Look below to see our list of the best hotel options for after your private flight. 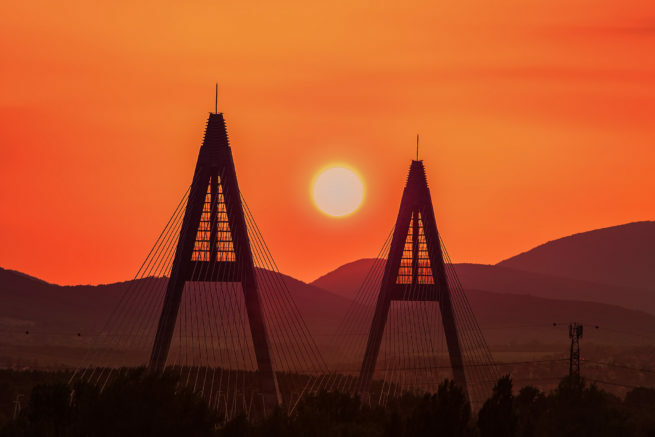 Air Charter Advisors utilizes the following airports to fly clients privately to/from Budapest, Hungary and neighboring areas of Europe and Asia. The flagship airport of Budapest, and Hungary as well, Ferenc Liszt International boasts a runway length of 12,162 Feet, and is capable of handling aircraft no matter the size. It has three main terminals – 1, 2A/2B, and a smaller general aviation port. The Celebi Terminal offers the traditional FBO amenities such as concierge services, catering, and a rest area. Request a Quote or give us a call at 1-888-987-5387 to speak with one of our Budapest Private Jet Charter agents for your next luxury vacation, business trip, or special event.